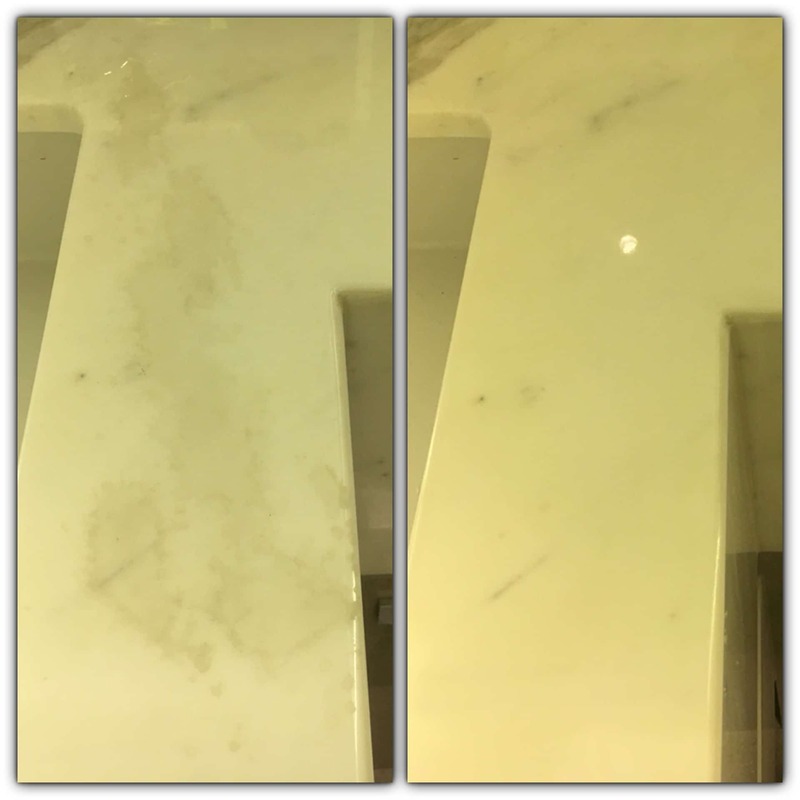 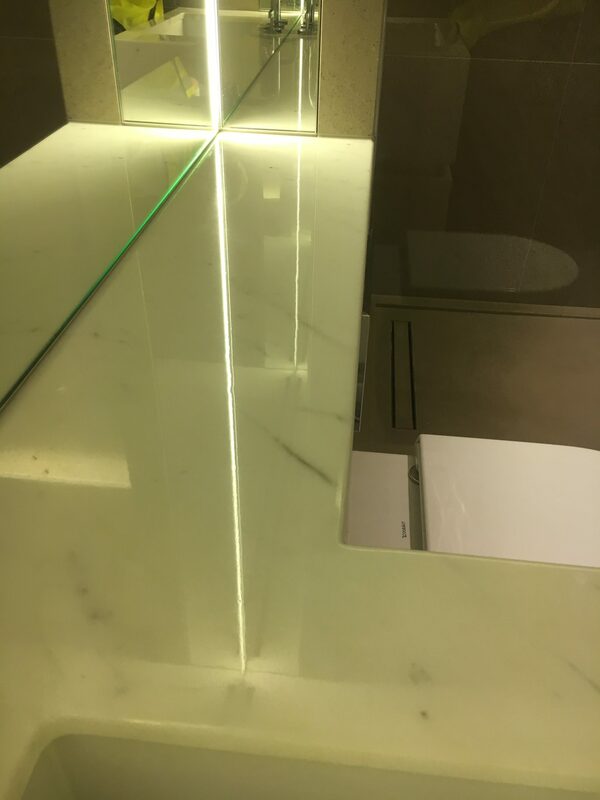 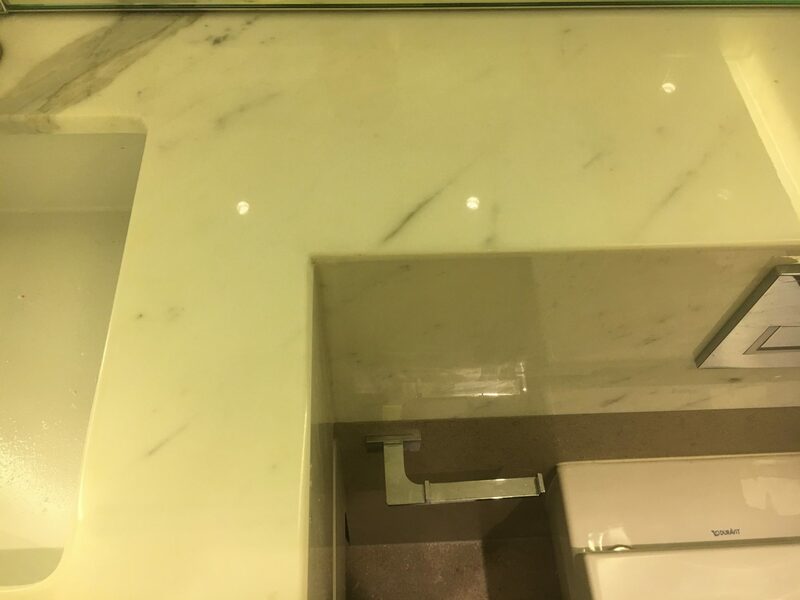 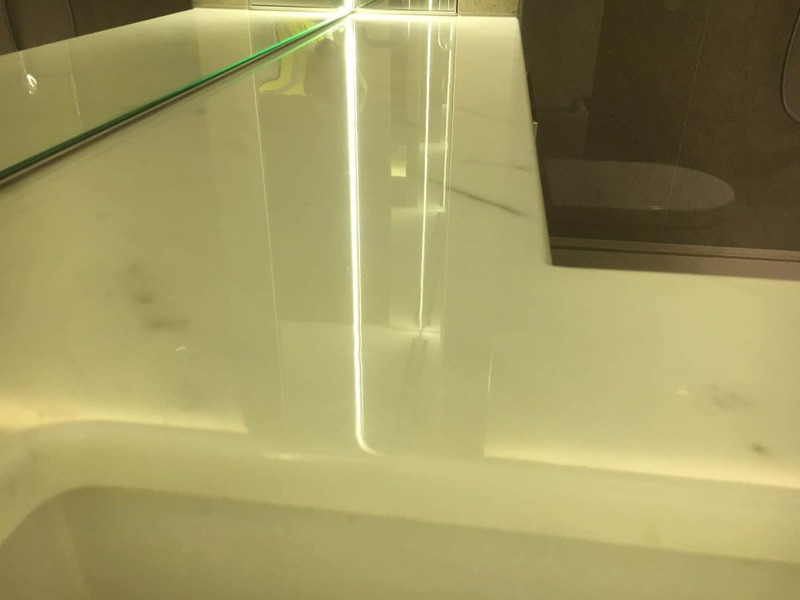 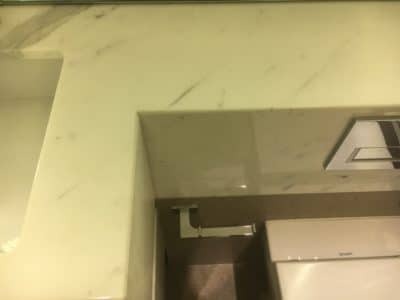 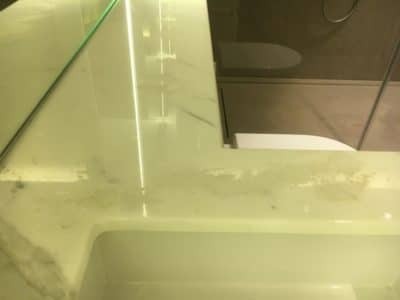 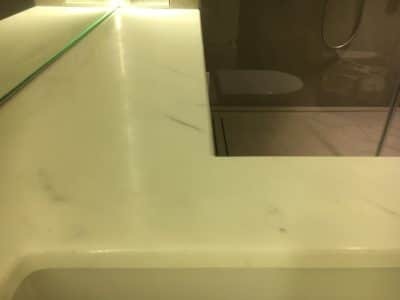 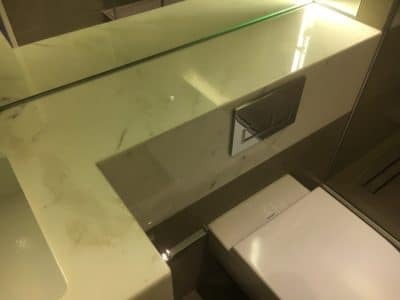 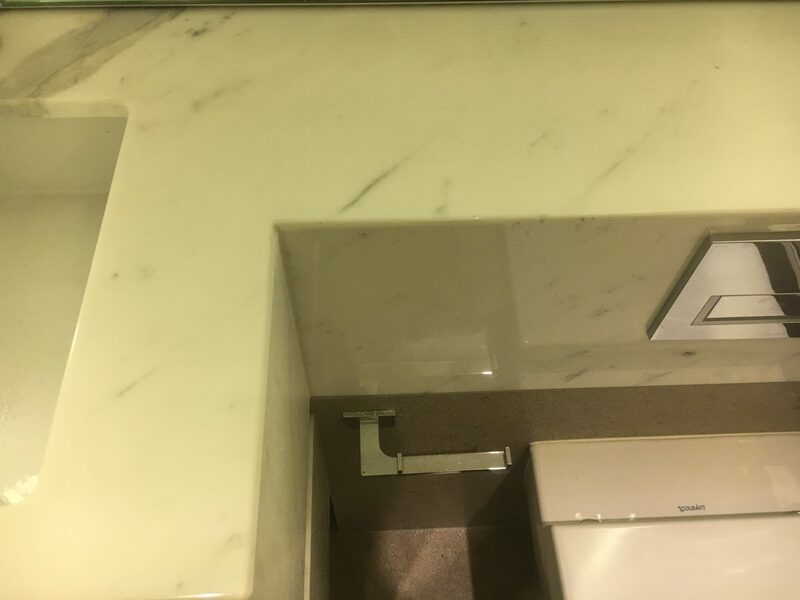 Marble vanity unit in a high end flat has been stained by a strong lime scale remover that hasn't been wiped off causing severe etching to the surface that takes away the shine and roughens the surface. The only solution was a complete surface restoration. 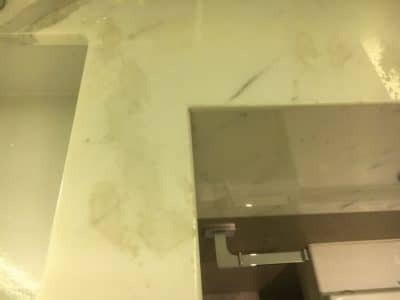 Overview of the vanity top stains over the toilet and sink.